A birder since elementary school, Derek Lovitch started to get serious early in high school, went nuts in college, and after graduation took a job, or rather a dizzying string of jobs, as a certified “birding bum.” His wild succession of positions ranged from official hawk counter at Cape May Hawk Watch to tour leader and researcher on Alaska’s Pribilof Islands to a tour leader on pelagic trips. He currently owns and runs Freeport Wild Bird Supply in Maine. This guy knows his birds big time. 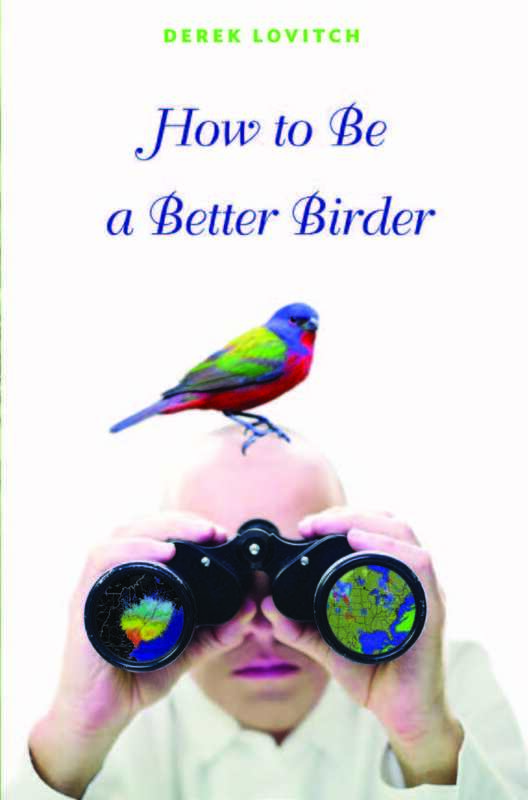 Divided into nine chapters that focus on a specific element of birding, How to Be a Better Birder consists of in-depth but not daunting discussions of everything from advanced field identification to birding with a purpose. Although I initially suspected I wouldn’t learn very much from reading this book, as I read farther into it I found myself reaching more and more often for my pencil so I could mark a passage or jot down a note or a website I couldn’t believe I had never visited. I learned plenty reading this book, and, yes, it made me a better birder. 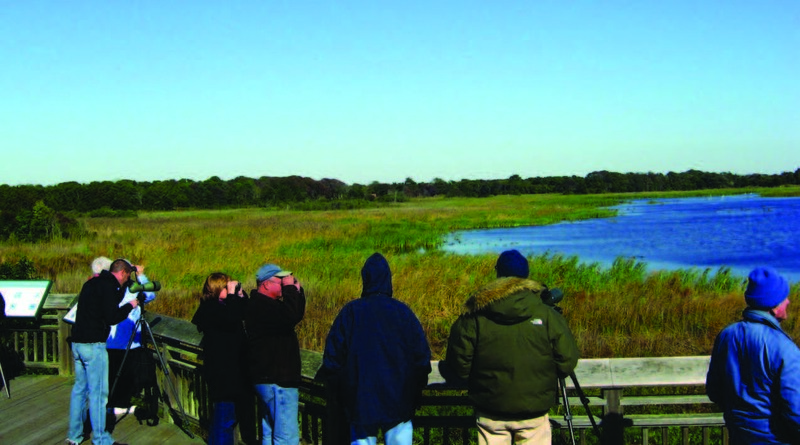 Lovitch divided his book into nine chapters that discuss the basic ingredients of the birding experience—geography, habitat, weather, etc.—and calls his methodology, in a phrase, the “Whole Bird and More” approach to birding, a not particularly felicitous description that nevertheless suggests his holistic birding techniques, his quest to see and identify more birds, more quickly, more often. The penultimate chapter consists of a case study of a trip to Cape May that occasioned the deployment of just about all of Lovitch’s birding strategies, such as advanced weather analysis and nocturnal Doppler radar images. 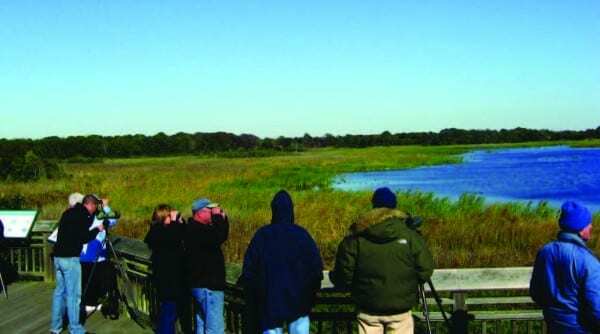 Cape May, New Jersey, attracts nearly as many birders as birds. Indeed, Lovitch excited me with his easy and articulate technical savvy, which by the time I finished his weather chapter had me bookmarking a different weather forecasting site than the one I have used for years. Halfway through the “Birding at Night” chapter I found myself looking at NEXRAD radar images of, yow, a huge movement of birds flying north along the western slopes of the Adirondack massif. Squinting, I looked over at the book lying next to my laptop, noted my portable mouse holding it open to the page about radar and, slowly, smiled increasingly widely. (To find NEXRAD Doppler radar images go to www.nooa.gov). An affable writer who sprinkles his text with plenty of jokes and asides, and the kind of guy you’d probably like to have a beer with, Lovitch managed to keep me engaged even as I hovered on the edge of new information overload. He communicates a lot of information quickly and painlessly, and his chapters seem strategically perfect in length, with the result that I considered the individual chapters models of succinct yet highly informative essays. Rather than footnotes, Lovitch deploys middle-of-the page sidebars, if you’ll pardon the oxymoron, to list what I considered extremely valuable resources, from journal articles to website addresses. On several occasions, for example, he recommends reading specific The Changing Seasons articles from North American Birds, the journal of the American Birding Association, and I wholeheartedly agree one should make the effort to read these extraordinary articles. I wish he had reprinted one of them in an appendix by way of showing how the very birding strategies he advocates find perhaps their most articulate expression. How to Be a Better Birder has a nice selection of color photographs of birds, places, and surreal-looking radar images of weather and bird movements, as well as a generous selection of references and additional reading recommendations. I think this book works as a valuable tool for everyone from the advanced beginner to the jaded, hyper-experienced rare-bird chaser who never took the time to get a really good grip on such stuff as serious weather forecasting and satellite and radar imagery.